Per Color Show We offer OEM Service, you can tell us whic color do you like. is a Profession Chinese Manufatur of Synthetic Hair and Hair Accessories More Than 10 Years in Xuchang, China. Our Factory Always Provides, Good Quality and Reasonable Rrice for Our Customers. 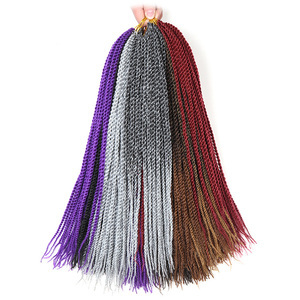 Synthetic 3X havana mambo twist braid 24 inch long crochet box braids twist hair braiding A: It's made of 100% japanese fiber. Q2: Is it available to be customized9 A: Yes you can customize the shape and size of hair buns. Q4. Can we customize our own logo and package9 A: Yes, we can design it as per your request. Xuchang Yisibolin Trading Co., Ltd.
Our extensions are made of 100% virgin remy human hair and you can treat it as your own hair. As it is 100% human hair, it can be straightened, curled and colored. As a general rule it is easier to darken the hair than to lighten the hair. Q2: Will the hair look exactly like the hair in the picture9 A: 1.The picture is to give an idea of our hair's texture. 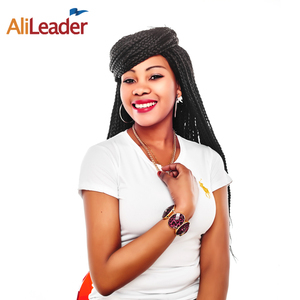 2.There will be slight variations between the hair you receive and the hair featured in the photo. 3.There will be slight variations in color and texture between each bundle, for they each are from a different donor. As a general rule it is easier to darken the hair than to lighten the hair. We highly recommend your hairdresser dye the Brazilian virgin hair. As a general rule it is easier to darken the hair than to lighten the hair. For big orders,30% in advance and 70% before shipment. 3. The buyer is responsible for shipping fee. 3.To avoid delivery lost, return should be arranged by register airmail,the shipping fees of return should be paid by the buyer. 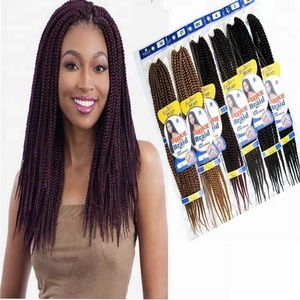 Alibaba.com offers 706 long box braids products. About 1% of these are hair extension, 1% are packaging boxes. 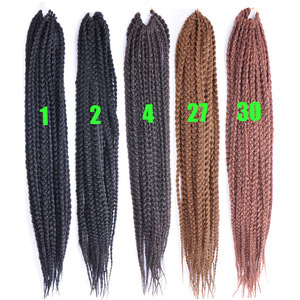 A wide variety of long box braids options are available to you, such as free samples, paid samples. 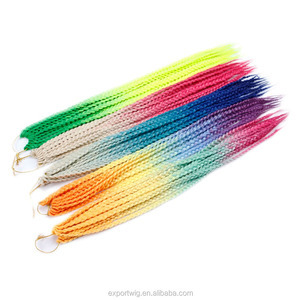 There are 711 long box braids suppliers, mainly located in Asia. 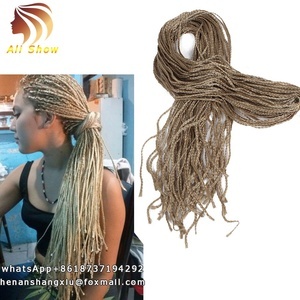 The top supplying countries are China (Mainland), Hong Kong, and Vietnam, which supply 98%, 1%, and 1% of long box braids respectively. 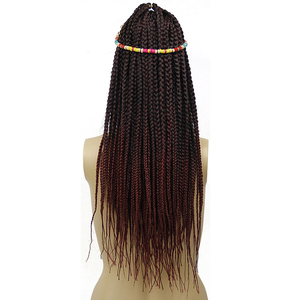 Long box braids products are most popular in North America, Western Europe, and Domestic Market. You can ensure product safety by selecting from certified suppliers, including 123 with ISO9001, 77 with Other, and 31 with ISO14001 certification.